Three British programs join the Sunday night lineup starting June 29. Last Tango in Halifax returns for a new season Sundays at 8 pm starting June 29. Endeavour is also returning to Masterpiece Mystery! Sundays at 9 pm. Rounding out the Sunday lineup is a new comedy, Vicious, at 10:30 pm. Alan (Derek Jacobi) and Celia (Anne Reid) continue to negotiate family baggage to plan a life together. Having come so close to losing each other forever thanks to Alan’s near fatal heart attack, he and Celia decide to have a romantic secret wedding as soon as possible. But how will their respective daughters react? The uptight Caroline (Sarah Lancashire) and rebellious Gillian (Nicola Walker) are discovering they actually quite like each other, however Gillian’s need to own up to her night with Caroline’s ex-husband John (Tony Gardner) could jeopardize the soon-to-be stepsisters’ fledgling friendship. As secrets from the past come tumbling out and family members adjust to changing relationships, can Alan and Celia find the long-awaited happiness they deserve? 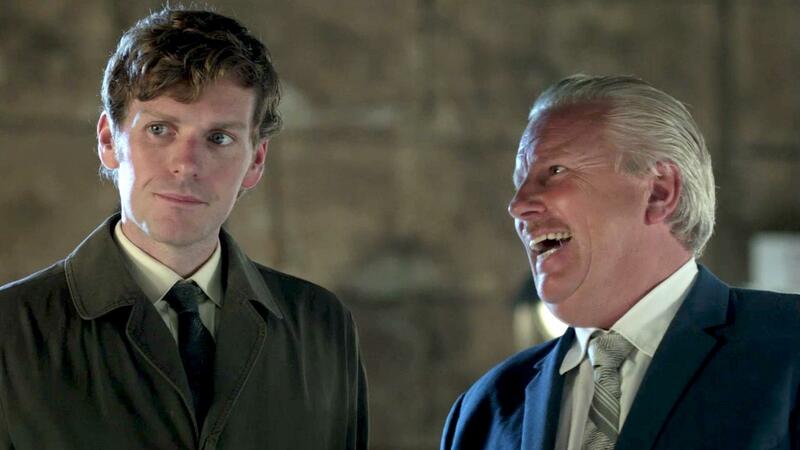 9:00 pm - Endeavour on Masterpiece Mystery! Shaun Evans returns for a second season as the young rookie, DC Endeavour Morse, before he acquired his signature red Jaguar but with his deductive powers already running in high gear. Four months after DC Endeavour Morse's brush with death, he returns to duty with Oxford City Police and is reunited with DI Fred Thursday (Roger Allam). Morse's first case involves a John Doe who plummets to his death in what appears to be a routine suicide. When Morse discovers the man's mysterious final message, he begins to consider seemingly unrelated cases, causing Thursday to worry that Morse's wounds may have been more in mind than body. Vicious tells the story of partners Freddie (Ian McKellen) and Stuart (Derek Jacobi), who have lived together in a small central London flat for nearly 50 years. Constantly picking each other apart and holding on to petty slights for decades, Freddie and Stuart are always at each other’s throats, cracking snide remarks aimed at the other’s age, appearance and flaws. However, underneath their vicious, co-dependent fighting, they have a deep love for one another. Freddie and Stuart are often joined by feisty best friend Violet (Frances de la Tour, Harry Potter and the Deathly Hallows) and Ash (Iwan Rheon, Game of Thrones), their young, upstairs neighbor.